When eastern white pine plantations reach the age of six or seven, and every year thereafter, they should be inspected carefully in the spring (preferably around mid-May in central Quebec) for the presence of fungal fruiting bodies.Plantation management is essential for preventing the disease. Plantations should be established in an area with conditions unfavourable to blister rust (Lavallée 1986; Davis and Meyer 2004). 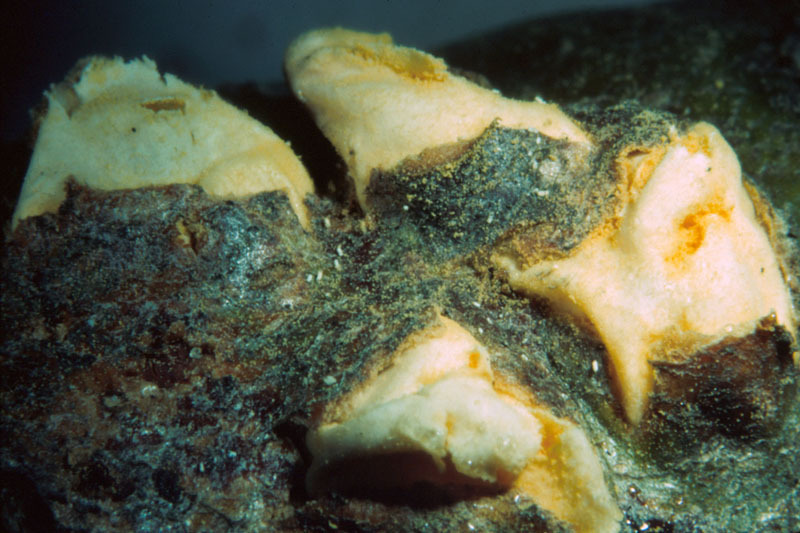 Limiting factors include topography and climate (particularly, the mean July temperature, which is associated with penetration conditions), along with the amount of Cronartium in the area (Lavallée 1986). 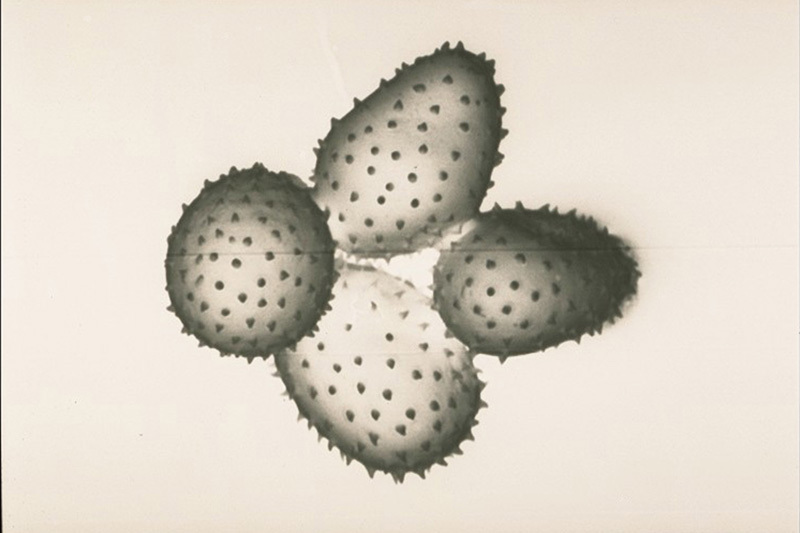 A high stem density should be maintained to reduce spore movement (Hunt 1998). 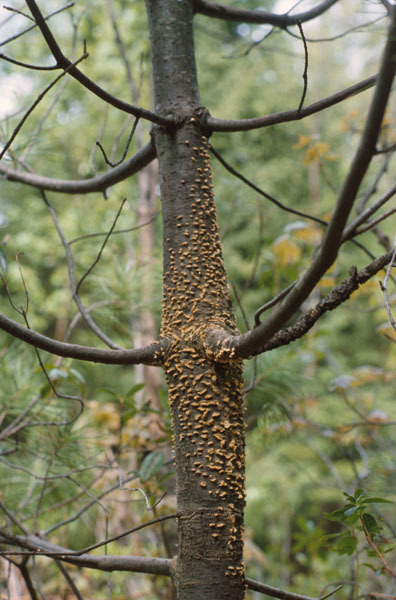 Trees of other species located nearby should not be cut down or pruned because they provide a physical barrier to the dissemination of blister rust spores (Hunt 2002). 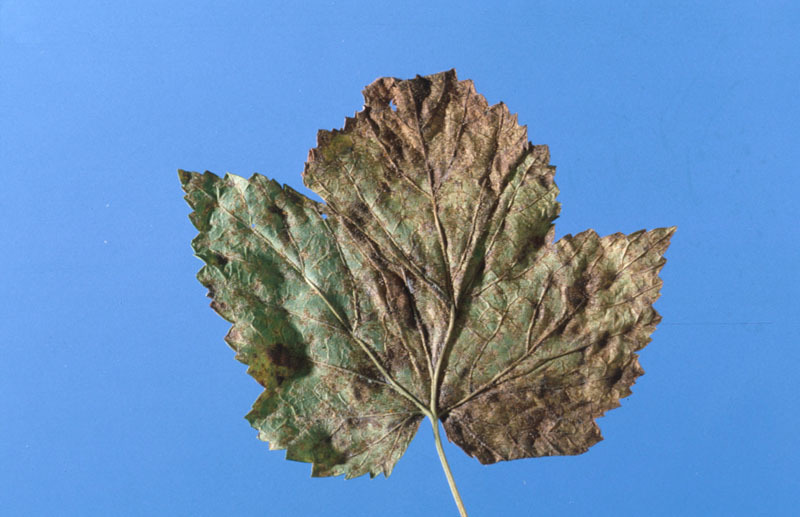 After infected trees are identified, an intervention plan needs to be established with the aim of limiting damage if blister rust is already present in the plantation.Eradication of Ribes spp. (currant and gooseberry), the alternate hosts of white pine, has long been recommended in areas near white pine stands (Maloy 1997). Although this method has been called into question (Sinclair 2005), it is still a key component of silvicultural control (Laflamme et al. 1998). When a new plantation is being established, all Ribes on the planting site and in the vicinity should be removed and the area should be kept free of such plants in subsequent years. The Ribes can be manually removed or herbicides can be used as a less costly method (Bergeson and Lorenz 1957). In the state of Maine, continuous Ribes eradication efforts since the early 20th century have helped to reduce the incidence of blister rust by half compared with areas where no eradication was carried out (Ostrofsky et al. 1988). No intervention is required if a very small number of stems is affected. If there are too many trees with cankers on the main stem, nothing can be done to save the plantation.The causal agent Cronartium ribicola enters the needles and grows into a branch, forming a canker, which continues to develop and may reach the main stem. If the trunk becomes infected, the tree will eventually die. It is critical to remove infected branches by cutting 20 cm to 25 cm below the canker. Locating the infected branches can be very time-consuming. Systematic and preventive pruning of lower branches in the lower half or third of the tree is critical for disease management (Hunt 1991; Laflamme et al. 1998; Davis and Meyer 2004). In addition, all the infected branches in the intact crown should be pruned out. To be effective, pruning must be carried out when the plantation is young, preferably when the trees are between 8 and 12 years old (Laflamme et al. 1998; Hunt 1998). The presence of Ribes plants reduces the effectiveness of pruning operations (Laflamme et al. 1998). All trees with cankers on the trunk should be cut down. 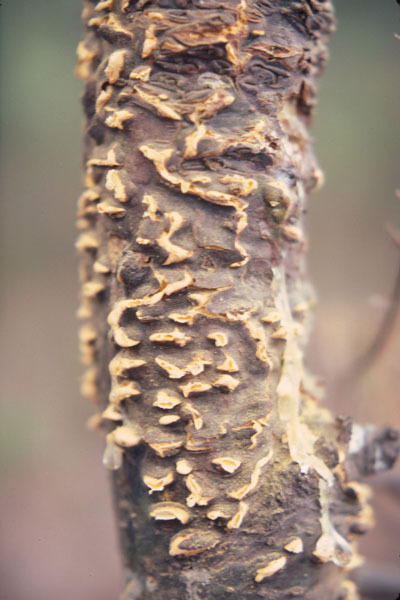 The pruned branches and felled trees can be left on site, because Cronartium is a fungus that can survive only on living material. On ornamental trees, the cankers can be excised (Thibault 1993) by removing the cankered area along with a 10- to 13-cm-wide margin of healthy bark. This should be done when the infection zone is clearly delimited by the white blisters produced by the aecial stage. In addition to being costly, the use of fungicides has never been very effective in controlling blister rust (Maloy 1997). Treatments applied to white pine seedlings appear to hold more promise. In fact, treatment of seedlings with a systemic fungicide (triadimefon) has been found to reduce rust incidence (Bérubé 1996). In addition to permitting the production of seedlings in hazard zones, this chemical treatment helps to keep the seedlings healthy right through to delivery to the planting site. It remains to be determined how long this protection lasts. However, this fungicide is not registered for use in Canada. Moreover, no chemical is registered against white pine blister rust on pine. Products registered in Canada for the control of rusts on alternate hosts are sulphur, sulphur sulphide or polysulfide. It was long believed that Tuberculina maxima Rostr. could be a potential biological control agent because this fungus is often found around the cankers caused by blister rust (Maloy 1997). Research and control trials have nonetheless produced results that belie this assumption and even now the role of Tuberculina maxima Rostr. is unclear. By contrast, the fungus Microsphaeropsis arundinis (Ahmad) Sutton has proven to be effective in controlling the uredinial stage that occurs on Ribes, thus breaking the disease cycle, since the uredinia give rise to telia, which in turn produce the basiospores that infect white pine trees (Bérubé 2002). Developing resistant or tolerant seedlings (Hunt and Jensen 2001) is an important avenue for long-term blister rust management. An exhaustive description of the methods used to obtain resistant trees is beyond the scope of this text. Suffice it to say that resistant trees obtained through judicious crosses can present several mechanisms of resistance to the disease. The goal is to obtain durable resistance that the fungus cannot easily circumvent (Kinloch 2003). Efforts have also been directed at the alternate hosts: it is not easy to eradicate Ribes and some species in this genus are valued for the berries they produce. Therefore, research has been undertaken to develop rust-resistant Ribes plants through crosses with exotic plants (Hummer 1997). The aim is to further develop and improve the resistant cultivars that are already on the market in order to ensure that governments do not decide to ban them outright (Hummer 1997). Eradicate all Ribes in the area (in and around the plantation). Prune the lower half of the living crown and remove all infected branches on the tree when the pines reach a height of 2.5 metres. Cut down any trees with a canker on the main stem. Leave the pruned branches and felled trees on site to create a physical barrier. Prune the branches in the lower half of the crown again when the trees reach a height of five metres. Inspect the stand over the years to eliminate Ribes plants and monitor the condition of the pines. Bergeson, E.D., and Lorenz, R.W. 1957. Seasonal effectiveness of 2,4,5-T basal sprays for eradicating Ribes in White Pine blister rust control in Illinois. Journal of Forestry 55(1): 17-9. Bérubé, J.A. 1996. Use of triadimefon to control white pine blister rust. Forestry Chronicle 72(6): 637-638. Hunt, R.S. 1991. Operational control of white pine blister rust by removal of lower branches. Forestry chronicle 67(3): 284-287. Hunt, R.S. 1998. Pruning western white pine in British Columbia to reduce white pine blister rust losses: 10-year results. Western journal of applied forestry 13(2): 60-63. Hunt, R.S. 2002. Can solid deer protectors prevent blister rust from attacking white pines? Canadian Journal of Plant Pathology 24(1): 74-76. Hunt, R.S., and Jensen, G.D. 2001. Frequency of resistant western white pine seedlings from parents of different phenotypes. Western journal of applied forestry 16(4): 149-152. Kinloch, B.B. 2003. White Pine Blister Rust in North America: Past and Prognosis. Phytopathology 93(8): 1044-1047. Lavallée, A. 1986. Zones of vulnerability of white pine to blister rust in Quebec Québec. ; Zones de vulnérabilité du pin blanc à la rouille vésiculeuse au Québec. Forestry Chronicle 62: 24-28. Maloy, O.C. 1997. White pine blister rust control in North America: a case history. Annual Review of Phytopathology 35(35): 87-109. Ostrofsky, W.D., Rump, T. Strubble, D. and Bradbury, R. 1988. 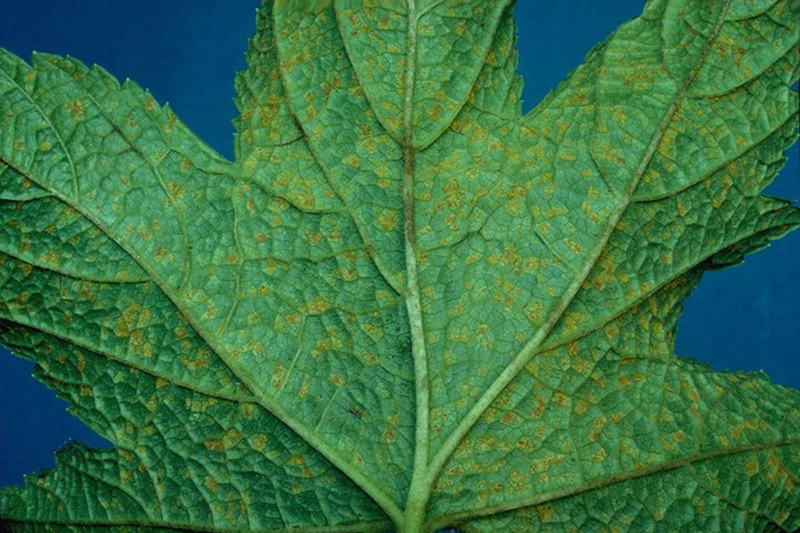 Incidence of White Pine Blister Rust in Maine after 70 years of Ribes Eradication Program. Plant Disease 72: 967-970. Sinclair, W.A. and Lyon, H.H. 2005. Diseases of trees and shrubs – Second edition. Comstock Publishing Associates, Cornell University Press, Ithaca, New York, 660 pp. Thibault, M. 1993. Guide du soin des arbres pour horticulteurs et arboriculteurs amateurs. Éditions du Trécarré, Québec, pp. 107-113 et 137-144.